Our natural tendency is to surround ourselves with people whose backgrounds, experiences and viewpoints are similar to ours. But in order to achieve the true power of a board of directors, you must take a different approach when considering director candidates. If you hope to maintain business ownership and wealth across multiple generations of your family, you’d be wise to develop a strong family education program. While there is no “one-size-fits-all” template for a family to follow in designing and launching an educational program, there are common content and logistical decisions families need to work through. The following topics are a good starting point for addressing your family’s particular needs. Stevens Brothers Cartage and Storage was founded in 1905 in Saginaw, Mich., to haul steamer trunks using horse-drawn drays. Today The Stevens Group, still based in Saginaw, is a full-service moving company run by the fourth and fifth generations. Its longevity is a testament to the Stevens family’s focus on education and governance—and ongoing succession planning. Risk taking has paid off handsomely for McCarty Family Farms in Colby, Kan. In the last few years the McCarty family has become known for its partnership with Dannon, the global yogurt brand—quite an accomplishment in the dairy farm industry. 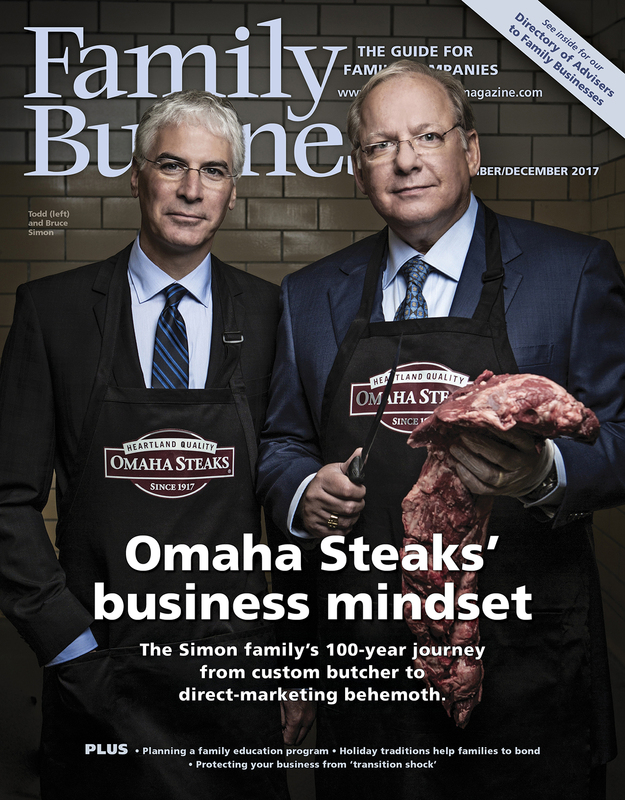 Bruce Simon, the fifth-generation CEO of Omaha Steaks, has a theory to explain why the direct marketer of beef and other foods survived to mark its centennial this year. “The sign of a successful family business is not to let the family part affect the operations of the business,” he says.